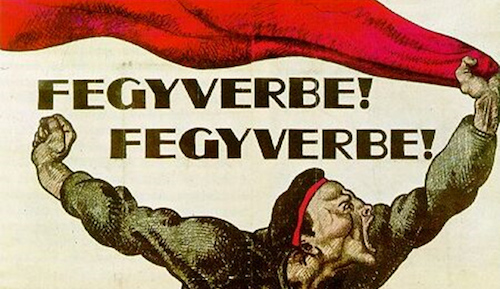 Hungarian Bolshevik propaganda poster, 1919. via Wikimedia Commons. 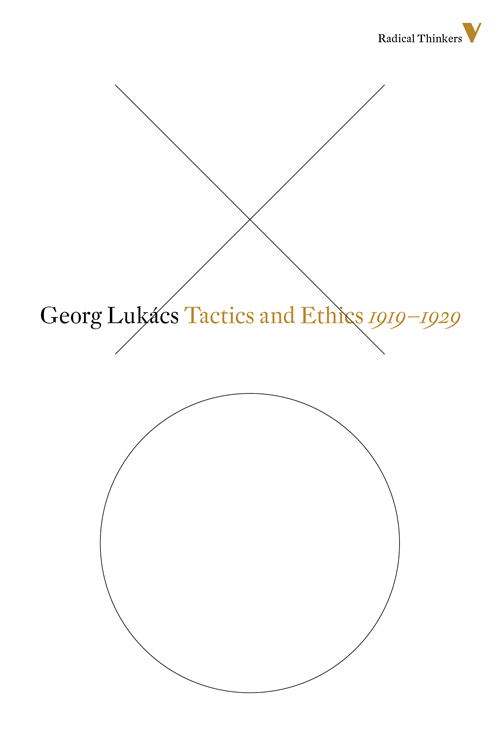 Shortly before his death, Georg Lukács wrote a brief and elliptical autobiographical sketch. Unable to expand further in writing, he reflected on the events of his life in two long interviews, recorded in 1969 and 1971, with István Eörsi and Erzsébet Vezérs. These documents were collected and assembled as Record of a Life, published by Verso in a translation by Rodney Livingstone in 1983. In the excerpt below, Lukács discusses his experiences during the years of World War I, the Russian Revolution, and the short-lived Hungarian Soviet Republic, for which he served as the People's Commissar for Education and Culture. Int: Let us move on to the outbreak of war in 1914. G.L. : All I can say about the war is that I was sharply opposed to it from the outset, and that I was very impatient of anyone among my personal acquaintances who inclined in any way to a favourable view of the war. I felt like this even where, as in the case of Béla Balázs, there was no direct support for the war. His reaction was: “Go and suffer too!” Privately, though not in public, I told him what I thought of this attitude in no uncertain terms and I particularly expressed my disapproval of the end of his book. This contains a discussion between him and Anna Lesznai in the course of which he paints a glowing picture of the Austro-Hungarian Monarchy as a sort of Switzerland of diverse nationalities. I thought this mindless flattery, since I took an extremely bleak view of conditions at home. I do not know whether I have already made clear my position on the war, but I would like to do so now. My attitude was: "The German and Austrian armies may well defeat the Russians and this will mean the overthrow of the Romanovs. That is perfectly in order. It is also possible that the German and Austrian forces will be defeated by the British and the French and that will spell the downfall of the Hapsburgs and Hohenzollerns. That too is quite in order. But who will defend us then against the western democracies? "1 This question turned out to pose the actual problem. And you can see from this fact that my hostility to positivism was partly politically motivated. For all my condemnation of conditions in Hungary, this did not mean that I was prepared to accept English Parliamentarianism as an alternative ideal. But at the time I perceived nothing with which to replace the existing order. From that point of view the Revolution of 1917 was a great experience since it made it clear that things could be otherwise. Whatever view one took of this “otherwise,” it made a decisive difference to all our lives or at least to the lives of a considerable proportion of our generation. Int: In connection with your attitude towards the war you once mentioned a letter of Simmel's. Int: Simmel was right in believing that the greatness of the war could only be grasped intuitively. G.L. : I agree with him there, but I was only interested in the matter because of the objective proof it provided that the conversation really did take place in the first few days after the outbreak of the war. 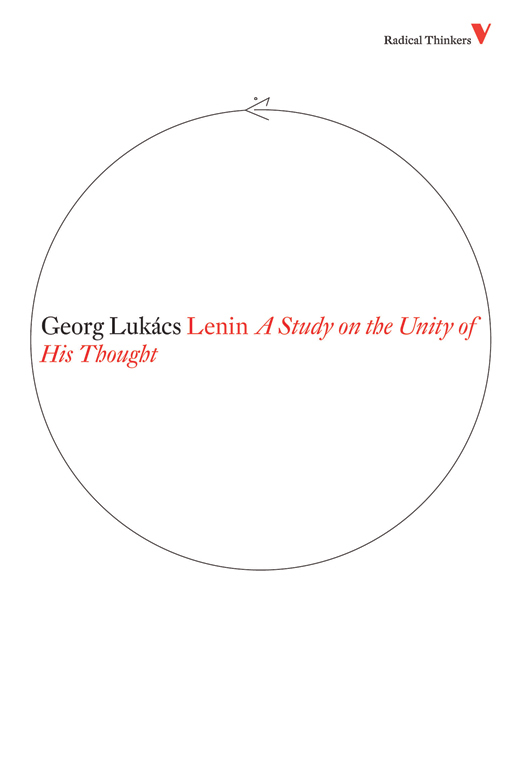 Int: Comrade Lukács, were you in Berlin at the time? G.L. : No. I went to Heidelberg in 1912 and lived there until the end of the war, when I returned to Pest. G.L. : Yes, when was it? I went to Pest in Autumn 1917 and then I was back in Heidelberg in Summer 1918. In August of that year I went back to Pest with the idea of returning to Heidelberg in the coming spring but of course that did not happen. Int: How did you manage to avoid the army? G.L. : That was due to the circumstance that the son of a bank director did not have to perform his military service if he did not wish to. Of course, we all had to go along to the barracks. I was told there that I would have to appear before a medical commission. The medical investigation established that I was suffering from severe neurasthenia. Int: A disease to which you have been less prone than any other in your whole life. G.L. : This severe neurasthenia became my own special illness. I must add that it was diagnosed by Korányi. Corruption in Hungary must be regarded as much more extensive and more serious than is usually believed, for Korányi was not approachable by just anyone. However, he could be approached by my father and as a result I served as an auxiliary during the war. Int: Until the end of the war? G.L. : No, only until my former school friend Iván Rakovszky, who subsequently became Minister of the Interior, paid a visit to my father. I must tell you the story, because it is rather amusing, not least because of the people involved. Rakovszky came to see my father in order to try to obtain a post as director in the Credit Bank. Since that was his aim, the discussions naturally had to proceed via Uncle Josi and of course someone raised the question about what Georg was doing. My father took the opportunity to complain that I was going to have to be in Pest as an auxiliary and what a bad time I would have of it. Whereupon Rakovszky replied that Uncle Josi should not worry, nothing was going to happen, he should tell Georg to visit him in Parliament and they could talk the matter over. And this is what we did. Four weeks later I was exempted and had no further dealings with the army. For his part, Rakovszky was given the post with the Credit Bank. Int: So it was a happy end for all concerned. G.L. : It is an event that should not be omitted from any account of my early life. The fact that I was the son of the director of the Credit Bank had no literary influence as such, and yet events such as these impinge on one's life in a very material way. Who knows in what Russian camp I might have perished, had I not had these connections. Int: How were you able to keep your distance from the war while you were in Heidelberg? In your biographical fragment you note: "Heidelberg: assistance from Jaspers (very much against his better judgement)..."
G.L. : Jaspers gave me a medical certificate. Since he was a supporter of the war, this went against his own convictions. Int: So why did he sign it? Were you friends? G.L. : We were on fairly friendly terms and I believe that I owed his assistance to a witty repartee, one which proved its worth subsequently. He had asked me whether I was taking no part in the war because I feared for my life. I answered: “Of course, I'm afraid. If my call-up papers were to arrive at the end of the war, I assure you that I should not ask you for a medical certificate then.” This reply evidently helped to sway him. Int: He didn't join the army either, or did he? G.L. : He was a sick man. He was not called up. Int: In the context of the war years you also refer to your first wife, Jelena Grabenko. G.L. : She was a Russian and had once been a member of the Social Revolutionary movement, although she had long since parted company with them. During the war — these are personal matters of no interest — we lived apart: that is to say, she was living with a friend, and since she was Russian and had no income I supported her. In 1918 she parted from her friend, I don't know why, and came to Pest. But by that time our marriage had long since collapsed. Int: Where did she actually live during the war? G.L. : Jelena Grabenko? At first in Heidelberg and afterwards in Bavaria. G.L. : She was a highly intelligent person, quite apart from the fact that she was an extremely talented painter. When she came to Budapest and met Kun, she gained the impression that he resembled Vautrin.3 I think this a very perceptive and accurate comment and thought so at the time. This one remark makes it obvious that she must have been a very shrewd woman. In Budapest she became friendly with the younger generation — with the Béni Ferenczy circle, with Révai, with Sinkó and others. She lived there in the House of the Soviets and they all met at lunch and dinner and other times. She belonged to that circle without ever joining the Communist Party. All this continued in Vienna where she maintained good relations with Révai, for example. Int: So she emigrated too? Int: And did you meet in Heidelberg? G.L. : No, at an Italian seaside resort. She had been friendly with the Balázs's in Paris. She was visiting them and so we met. Int: What is your present opinion of the main work you wrote during the war, The Theory of the Novel? G.L. : The Theory of the Novel defines the whole age as the age of absolute sinfulness, to use Fichte's phrase. A particular feature of the book is its methodology, which is based on the school of intellectual history. But I think it is the only book produced in that tradition which is not right-wing in its orientation. Morally, I regard the whole age as reprehensible and art as commendable insofar as it opposes the age. It is at this point that Russian Realism becomes important since Tolstoy and Dostoevsky have shown us how literature can be used to condemn an entire system root and branch. In their works there is no suggestion that capitalism has this or that defect; in their eyes that whole system is inhuman as it stands. Int: Is this what prevented you from looking to the victory of the English for any improvements? G.L. : The fact is that I always regarded bourgeois democracy with scepticism. Anatole France remarks somewhere that rich and poor alike are forbidden to sleep under bridges. I always distrusted this notion of equality. But this did not lead me to any concrete political viewpoint. I only became aware that such a viewpoint was a real possibility when Liebknecht's action (in voting against the war in the Reichstag) made this obvious. Int: At the time it must have seemed a startling innovation to have established a connection between the novel and history. G.L. : The book undoubtedly contains a number of true observations. As a whole, however, it is based on the premiss that Tolstoy and Dostoevsky form the pinnacle of the revolutionary novel in world literature, and this is of course wrong. 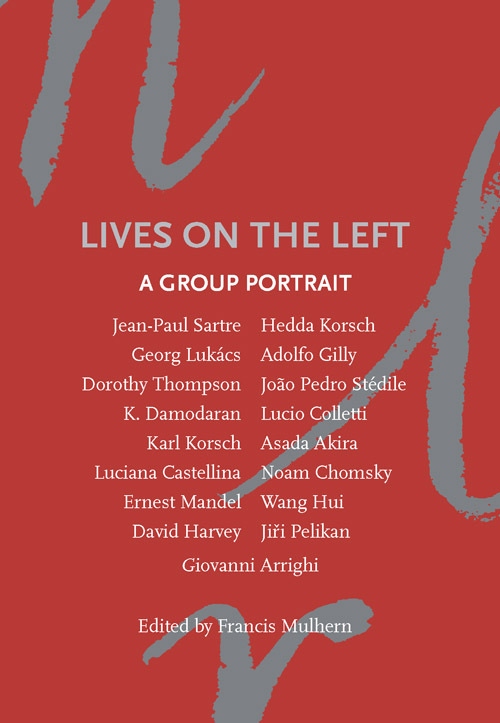 At all events, even though the book remains within the framework of bourgeois literature, it does investigate the theory of the revolutionary novel. At the time such a thing was unprecedented. The prevailing theory of the novel was conservative both artistically and ideologically. My theory was not revolutionary in a socialist sense, but it was when measured against the literary criticism of the day. In the final analysis The Theory of the Novel was the sequel to the essay on Ady, extending the ideas advanced there to a whole genre and generalizing them by application to the works of world literature. Int: Comrade Lukács, are you depressed by the contemporary reception of The Theory of the Novel, or are you pleased by it? I am asking because you have said elsewhere that you do not regard the book as a constituent part of your life's work. G.L. : That is a very complex question because we are still living in a transitional epoch and a transitional work like The Theory of the Novel must be evaluated as such. Int: I have the feeling that the question is only partly resolved by treating the book as a transitional phenomenon. If a work like The Theory of the Novel can survive and exert an influence for over fifty years, it obviously does more than simply give shape to transitional values. G.L. : Look, Fichte's “age of absolute sinfulness” means that Europe broke out of the pseudo-consolidation in which people had lived down to 1914 and collapsed to the point where it finds itself now. In that sense we are fully justified in speaking of an age of absolute sinfulness. That is the negative side. 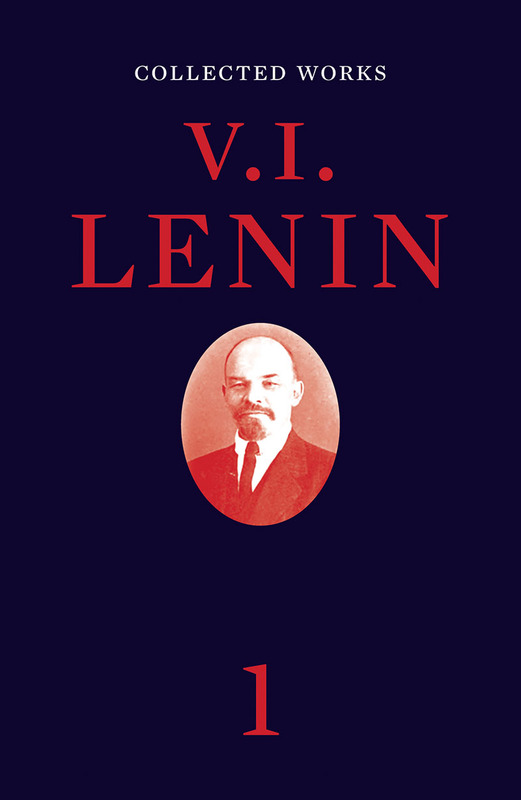 But what is absent from this view is what Lenin inferred from it — namely, the need to change the whole of society from bottom to top. This dimension was absent from The Theory of the Novel. Int: It is interesting that you wrote the book in 1914, but that it could not be published until after the war. G.L. : That is not quite true. The Theory of the Novel appeared during the war in the Zeitschrift für Ästhetik und Allgemeine Kunstwissenschaft. It was only in book form that it appeared after the war. Int: When you no longer agreed with what you had written. G.L. : At the time the unity of principle took precedence over the unity of particular beliefs. Int: Have you never considered publishing the Heidelberg MS, the fragment on aesthetics? Int: Did the work remain a fragment? G.L. : It remained completely fragmentary. A chapter appeared in the Zeitschrift für Ästhetik und Allgemeine Kunstwissenschaft or in Logos. 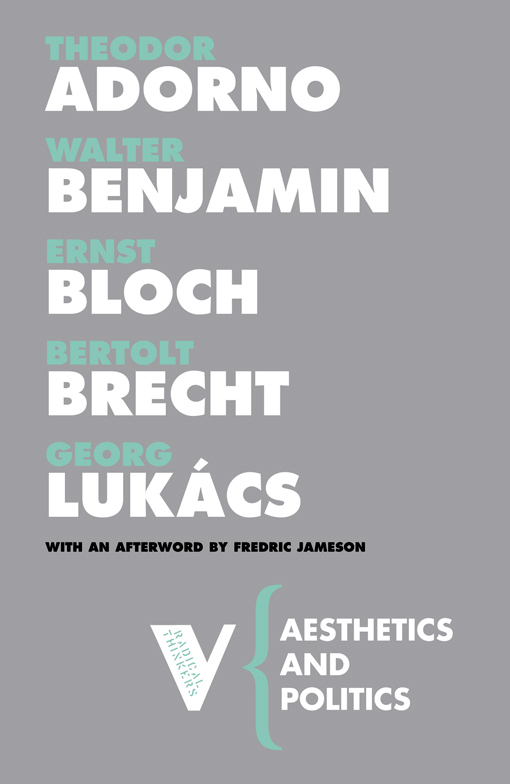 I can't remember which, But I soon abandoned the Heidelberg Aesthetics because in 1917 I began to involve myself in ethical questions and lost interest in problems of aesthetics. Int: Is it true that the chapter that appeared has not been included in the complete edition of your works which is coming out at the present time? G.L. : It is present in the Early Works — that is, the one chapter. Int: Does the manuscript no longer exist as a whole? Int: In your autobiographical sketch for this period you make mention of the Budapest Circle. This is evidently a reference to the so-called Sunday Club. Who belonged to this? G.L. : The Sunday Club consisted of a number of friends around Béla Balázs and myself. We formed a group during the World War. I spent 1915 and 1916 as an auxiliary soldier in Budapest and that was when the Club came into being. Béla Balázs and Anna Lesznai were members: they were joined by all sorts of people, such as Emma Ritoök, a very old friend of Balázs, and then a host of younger theoreticians, Such as Béla Fogarasi. Int: Anna Lesznai mentions Révai. G.L. : Máli is mistaken. In reality the first person to join was Lajos Fülep, with whom I had been on good terms earlier on. Then there was Frederik Antal who subsequently wrote about Italian painting and Hogarth; the young Karl Mannheim and Arnold Hauser were also members, and so on. Towards 1918 we were joined by a number of younger people, including Gergely, who later become Anna's husband, and above all there was the most talented person of them all, Charles de Tolnai. But Révai, who, if I am correctly informed, was a schoolfriend of theirs, was not a member of the group. G.L. For a while Kaffka came to our meetings too, but then she married Balázs's brother, Ervin Bauer. These two hated each other as only brothers can sometimes hate, and so she stopped coming. Int: Do you think of the Club as a motley group, ideologically speaking? G.L. : Ady’s view of the war was the basic premiss of the Club. But the opposition to the war had many different inflections. I myself soon became absolutely opposed to the war. Mannheim or Hauser did not go so far. Int: What form did the discussions take in the Sunday Club? G.L. : They ranged over a whole series of confused and also mutually incompatible varieties of liberalism. It would be quite wrong to claim that there was a unified doctrine. For example, the general mood in the Club leaned towards the western democracies à la Mihály Károlyi, I think I was the only one to take a different view. As I have written elsewhere, “Very well, Austria-Hungary and Germany may well defeat Russia and this will mean the overthrow of the Romanovs. That is perfectly in order. It is also possible that Germany and Austria will be defeated by the western states, and that will spell the downfall of the Hapsburgs and the Hohenzollerns. That too is quite in order. But who will defend us then against the western democracies?” Of course, in the Sunday Club this seemed an outrageous paradox. As far as I was concerned the answer to my question came from the Russian Revolution in 1917, that third possibility I had been looking for. What we believed in common was that it was necessary to refuse any concession to the Hungarian reactionaries, and we were therefore in favour of an alliance with Huszadik Század (The Twentieth Century). Ideologically, of course, we were vigorously opposed to their freethinking positivism, but this alliance led to the Free School of the Humanities, which began its activities in 1917. Talks were given by Lajos Fülep, Béla Balázs, Emma Ritoók and also Mannheim.. I gave lectures as well. This institution, moreover, did not officially take up a hostile attitude towards the group around Jászi. Ervin Szabó, for example, sympathized with the establishment of the school and did not at all think of it as a reaction to Jászi's group. Of course, our radicalism should not be over-estimated: it was not radical in the modern, let alone a Bolshevik sense. I myself had to overcome a number of crises before the member of the Sunday Club could turn into a communist. It is absolutely untrue that the Sunday Club was a Bolshevik society, as was later claimed by the counter-revolution, by Emma Ritoök, for example. It is typical of the wide range of opinions within the Sunday Club that I was the only one to begin defending a Hegelian-Marxist position. Apart from myself only Frederik Antal had any Marxist leanings. Lajos Fülep took up a position based on the humanities, while Emma Ritoök was basically conservative. Anna Lesznai cannot really be classified in this way. It is not possible to turn the Sunday Club retrospectively into a Bolshevik or even a pre-Bolshevik grouping. Int: Could you also say a few words about your relationship to the Huszadik Század group. G.L. : I heard about it from Bánóczi while I was still a student, in the early years of the century. Perhaps you know that Margit Bánóczi later married Somló. But the whole circle was in touch with the Bánóczis. Through other contacts I also met Ervin Szabó quite early on. At the time it was the sort of group one belonged to as a matter of course. I can illustrate this. In 1905 or 1906 the Jászi group in the Social Sciences Society tried to oust the friends of Pál Wolfner and Andrássy. Int: That was in 1906? G.L. : I only remember that I was on holiday in the Tatras and had the greatest difficulty in obtaining enough money to travel from the Tatras to the general meeting in order to support the Jászi faction against the Pál Wolfner and Andrássy camp. I only mention this to show that from the outset I supported certain of the social aspirations of Huszadik Század. But I was utterly opposed to Jászi's brand of philosophical positivism. 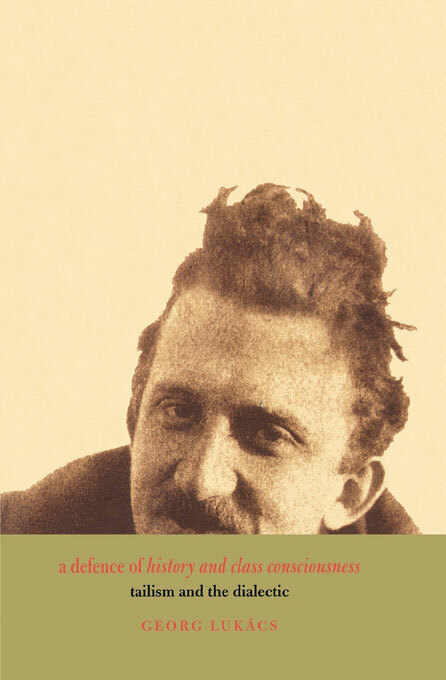 I should add that I always regarded Jászi as muddled and as a very untalented person as far as theory was concerned. On the other hand, I had a high opinion of Gyula Pikler and also thought well of Bódog Somló's capacities as a scholar. I was also on fairly good terms personally with Somló, as well as Ede Harkányi, who died so young. So there were a number of slender threads linking me to the members of the Social Sciences Society, although I always rejected the Anglo-French positivism that animated the group. I met Jászi from time to time. We talked together, but I did not like him particularly and I do not think that he much cared for me. I never had the sort of difficulties I had with Osvát. I do not recollect that Jászi ever failed to publish anything I had submitted to him. On the contrary, it was Jászi who published the Ady article that Osvát had rejected. The only person I really respected in the group was Ervin Szabó. He was the only one who really had any influence on my development. If you were to ask me what I had read by Jászi, I would have to say I have forgotten it all. Nothing is left of it at ali. Many people said, even Ady said it, that they could see Jászi as their leader. I never saw him as my leader. Int: Perhaps Jászi's strong point was his morality? G.L. : Strange as it may sound, when I compare the profound significance which Elek Benedek's morality had for me, I realize that I was much less impressed by Jászi. His morality was not wholly free of sentimentality, and that grated on me. For example, Kristoffy and his friends were supported by the Jászi faction. Hence I thought it completely natural later on for Darányi to dismiss Jászi from the Ministry. I was quite unable to share the moral indignation of the Jászi faction and of Jászi himself. For who on earth could have expected democratic sentiments from Ignác Darányi I was also realistic enough at the time to grasp that fact. Moreover, I have an unpleasant memory of Jászi from the time of the dictatorship.5 I do not know whether it is typical of his personality in general, but it does him no credit to have visited me after the dictatorship began with the proposal that the Social Sciences Society should vote the active communist theorists onto the committee. By this he meant Elek Bolgár, Fogarasi, and myself. I said to him, “Look here, we have been active in public for many years. If you have not voted us onto the committee before, there is no reason to do so now we are ministers or whatever.” Jászi then asked me what should happen to Huszadik Század. I answered, “Let it continue to appear. As long as you are not openly propagating counter-revolution,” those were my actual words, “nothing will happen to you. :” It is a fairy story that Jászi was persecuted and that this was why he fled the country. Even Anna Lesznai's account does not fit the facts. No one had any intention of arresting Jászi. He emigrated because he feared, justifiably, that the dictatorship would be overthrown and that the counter-revolutionary movement would not just persecute the members of the dictatorship, but that it would go beyond that. In that respect he was absolutely right. But under the dictatorship he could have stayed just where he was. Int: Can you say anything about your relations with the Galileo Circle? G.L. : I had no very close contact with the Galileo Circle. I knew Karl Polányi well and I occasionally attended meetings of the Circle. It is possible that I even lectured there. I can no longer remember. At all events, there was no real contact. It was not until 1919 that I met the most radical members of the Circle, those around Korvin. They had earlier formed an illegal group, and since I was a bourgeois writer, they are unlikely to have desired any contact with me. When I joined the Communist Party, I met both Korvin and some of the younger members, such as Duczynska, Csillag, and others. I was on very good terms with Csillag, but I was never very close to the Galileo Circle. Int: Did you not develop a closer relationship with the Galileo Circle when it radicalized itself to a certain degree? G.L. : My first real relationship, apart from friendships, was with the Communist Party. Before that I was not to be found either with the Radical Party or with the Social Democrats, I hadn't the faintest idea what took place in those parties. Int: Polányi writes in his memoirs that at the Ady Memorial celebrations, he gave a militant anti-militarist speech while Comrade Lukács gave a militant Bolshevik speech. G.L. : I can no longer check what Polányi thought on 6 February 1919, nor what I myself thought at the time. As a literary historian you are reading too much into what happened in the course of my development. You must remember that at the time I was extremely uninterested in what was happening around me. I had been a lifelong admirer of Ady and when Polányi asked me to make a speech I naturally agreed. But that this was of any significance for my general development, or that I had this or that in mind — all that belongs to the exaggerations of literary history. Int: Let us return to the main theme. You said earlier that you gave up aesthetics because you had begun to be interested in ethical problems. What works resulted from this interest? G.L. : At that time it did not result in any written works. My interest in ethics led me to the revolution. G.L. : That was a later article. It was written in 1919. Int: But did it not arise from those interests? G.L. : Of course. This is where I raise the question, the ethical conflict, of how it is possible to act unethically and yet rightly. Int: A marvellous sentence. But unfortunately, like all clever or beautiful sentences, it is open to abuse. G.L. : There is no such thing as a sentence which is not open to abuse. Int: Your activities as a thinker began with aesthetics. Then came your interest in ethics. This was followed by politics. From 1919 politics was your prime concern. G.L. : In my opinion it should not be forgotten that my interest in politics always had ethical implications. “What is to be done?” was always the main question in my mind, and it is a question which links the ethical and the political domain. G.L. : It is important not to misrepresent the actual course of events in retrospect. I belonged to that broad stratum of the intelligentsia — the Germans call them fellow-travellers — who thought the entire situation untenable. A characteristic episode took place when I was present at a shooting incident at the chain bridge. There were about four or five hundred people there; I was one of them. The only thing I recollect from the whole episode was of myself standing on Vörösmarty Square with the very likeable wife of László Dienes, a chemist and a highly intelligent woman. We set off together and ran beneath the arcades along the bank of the Danube. I played no significant role in this demonstration. The same is true of my actions throughout the October revolution. I did indeed support the revolution, but I played no active part in it, for apart from the little Sunday Club I had absolutely no connections. I only became active after the revolution had triumphed, when the problems that arose from the emergence of the Communists started to become interesting. I must confess, and there is documentary evidence to back it up, that I only joined the Communist Party after certain hesitations. That is a peculiar thing, but this is often how things happen in reality. Although I was quite clear in my mind about the positive role of force in history and although I had never felt at all critical of the Jacobins, it turned out, when the problem of force became pressing and the need arose to decide whether I would further it by my own activities, that theory does not necessarily coincide with practice. And it was only after an inner conflict had run its course in November that I felt able to join the Communist Party in the middle of December. Int: Was it at this time that you wrote “Tactics and Ethics”? G.L. : Yes, it was. The essay appeared in January. It was an inner balancing of accounts which made it possible for me to join the Communist Party. Int: But I imagine that your inner ideological debate was not concluded by your entry? G.L. : Despite the hostility to the war and to positivism which I have already mentioned, I had not had any previous contact with the movement and had not arrived at any concrete political position. I did not realize that there was a concrete political form of resistance until Liebknecht's actions in Germany made it apparent. Now, it should never be forgotten — and this is not a question of fact, but a universally valid proposition, whatever may be thought about Lenin's theory and practice, about which so many wrong and misleading things are said nowadays — that it is Lenin's exclusive achievement to have rescued the honour of the International by proclaiming that the opportunity provided by the war should be seized by the working class in order to overthrow capitalism. It is only because of Lenin that we were able to discover this truth. Admittedly, the discovery could not be made without crises. I would not deny that I too was exposed to a period of uncertainty. It only lasted a few weeks, but it was present nevertheless. Fortunately we have a fairly accurate documentary reminder of the period in Ervin Sinkó's novel, The Optimists. In this he describes something which we should not allow ourselves to forget, and that is the confused ideological relationship which the intelligentsia developed to communism at the time. It is evidence of the depths of confusion that I was one of the people who could see matters most clearly. This is not meant as self-praise, I only wish to give an idea of the general mood. Even among people like myself who had read Marx, the understanding of Marxism was extremely superficial. No one had any experience of the movement or of revolution and I should add, even though it goes against orthodox beliefs, that the political maturity of people who came to us from Moscow was terribly overestimated. Int: Was the party already divided into those orientated towards Moscow and those who weren't? G.L. : No. Everything was very chaotic at the time. We were delighted with every arrival from Moscow, imagining that they could give us valuable information about what things were like “over there” and explain the theoretical significance of everything that had happened. I tried everything I knew and received assistance through my personal contacts, with my old friend Ernö Seidler, for example. But I must say that what the people from Moscow told us was not very intelligent. Int: Did these discussions take place among yourselves? G.L. : They partly took place in the Sunday Club, and then I gave a big lecture at the Academy of the Communist Party. As far as I can recall, my subject was in fact the problem of force. The discussions and dialogues — Sinkó gives a very accurate account of them — also went on unceasingly in Visegrádi Street.9 I was not the only one who could not see my way clearly. The position was very complicated. On the one hand, we were convinced that this was the only way out of the situation as it existed, not just in Hungary, but for the whole of mankind. On the other hand, we had not the faintest idea about the theoretical grounding or the specific stages of this solution. Modern historians of the party cannot imagine that there are matters on which party officials are completely ignorant. Hence this situation does not exist for them. They represent matters as if what happened was that Kun and his supporters arrived in Budapest with their Leninist teachings and distributed them to everyone else via the relevant channels. They talk as if, after a certain time had elapsed, there were people around with first-class knowledge and others with only second-class knowledge, and so on. I confess to you that it was not until I had emigrated to Vienna that I began to gain an insight into Lenin's genuine theoretical importance. Neither from Kun nor from Szamuely nor from any of the others who returned from Russia was it possible to learn anything worthwhile on the subject. Int: Could you not read anything by Lenin at the time? G.L. : At that stage nothing but State and Revolution was available in translation. Of course, I must add that, well written as State and Revolution was, the uninitiated and the reader unfamiliar with Marx would have been unable to understand it. For such a reader would conclude that he was confronted with a scholarly exposition of Marx. After all, State and Revolution deals with all of Marx's discussions of this topic. And this is what might create such an impression. I must confess that it was not until later that I understood the profound theoretical importance of the book. As for myself, I can only say that I joined the party completely unprepared and that in this respect I also failed to learn anything in the party. My real, enforced years of apprenticeship began under the dictatorship and after its collapse, when a number of Communists set about studying and trying to appropriate the teachings of Marxism as understood by Communists. 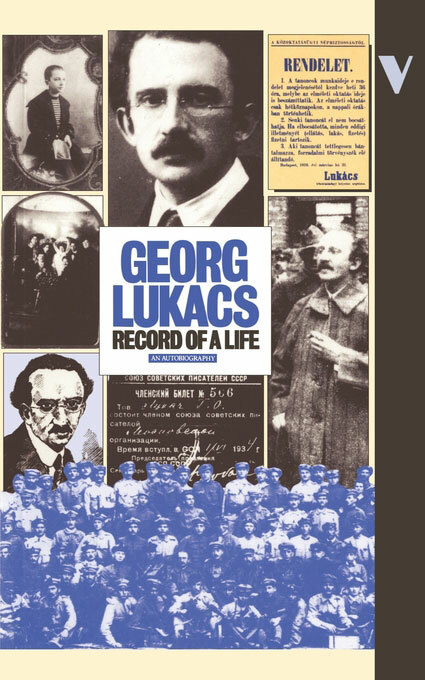 Int: Comrade Lukács, did you never belong to any other group which then merged with the Communist Party? Int: Then how do you explain the fact that you became a people's commissar so soon? Was it your reputation? Int: Comrade Lukács, were you on the editorial board or were you actually editor-in-chief of the paper? G.L. : The paper was edited by a board. The man with the official title of editor was Ferenc Rákos, but he did not count. Alpári, Bolgár, Révai and I were the de facto editors. If I was generally seen as the editor, this was presumably connected with the fact that mine was the best-known name in the group. Int: How did your organizational contacts with the Communist Party begin? G.L. : I had long been close friends with Ernö Seidler, who was in the leadership of the Communist Party. He had arrived in Budapest before Kun and his supporters and we had had long discussions on these matters. I have already mentioned that I sympathized with the Russian Revolution from the very beginning and I also agreed with the proclamation of the Soviet Republic in Hungary. But in the last analysis, I had grown up in a world of bourgeois prejudice. Hence the slogan of the dictatorship of the proletariat provoked a kind of ideological crisis in me. The product of this crisis was an article in Szabadgondolat (Free Thought) in which I expressed my opposition to the dictatorship. After the resolution of this crisis in November 1918, Seidler took me with him for talks with Kun and Szamuely. Int: By that time the Communist Party had been established. G.L. : The Communist Party was set up in the middle of November, so I was not among its founding members. Int: Is it true that you joined the leadership after the first set of leaders had been arrested? G.L. : Yes, that is correct. When I joined the party Kun and Szamuely wanted me to take a place on the editorial board of the theoretical journal. I accepted that, and if my memory serves me, an article of mine appeared in the Internationale. When Kun and his associates were arrested, a number of comrades began to take soundings about who might succeed them in the leadership. Someone — I no longer recall who — brought me together with the illegal Central Committee. It should be pointed out — I do not believe this has been documented — that there were two currents in the party at the time. The first, which had suffered a setback with the arrest of Kun and his supporters, was in something of a panic and feared that an extreme reactionary movement would seize power in Hungary. Their position was that we ought to reorganize ourselves into a sort of Ervin Szabó Circle and continue to work at the level of theory and ideology. The second group, to which I belonged, believed that the work of the original leadership should be continued, illegally if need be, legally if at all possible. Int: Who belonged to the first group? G.L. : I can no longer remember. G.L. : Tibor Szamuely, for example, had gone underground and strongly supported the second group. I could not give an exhaustive list of the members of the two groups, nor is it important that I do, for it was an internal debate without consequences for the outside world. The Communist Party survived, and the augmented leadership resumed the previous policies, with a single, minor modification in which I may claim to have had a share. Kun had maintained good personal relations with Landler, hoping to bring Landler's left-wing Social Democrat group closer to the party by means of a shrewd campaign of persuasion and argument. Some of us in the leadership argued that the Landler group would now hover between two positions and that if we criticized their vacillation, this would accelerate their shift towards the Communist Party. We thought it was not true that this would simply deepen the gulf separating us. I should note that when I spoke with Landler about this during the dictatorship, he admitted that the Communist Party's sharp criticism of his vacillations had indeed had an impact on his subsequent position. Int: Was the leadership during the dictatorship in agreement about such vital issues as land reform? G.L. : On the question of land reform we were unfortunately all in agreement. This was partly under the influence of the Social Democrats and partly because some of us thought that land distribution was only a transitional step which could be dispensed with since capitalist development was more advanced in Hungary than in Russia. If we transformed the large estates into farming co-operatives, we would skip the stage of bourgeois revolution and advance directly to socialism. This was a pitfall none of us avoided. As for myself, I think it remarkable that whereas in the realm of culture I firmly held that real revolutionary change had to support itself on revolutionary bourgeois elements, on the land question, since I was no politician and had not concerned myself in detail with the nature of the problem, I simply accepted the standpoint of the party. I do not want to gloss things over: there is no doubt that I did not oppose the view of the party, even though as a political commissar in the army I had often seen how the peasantry distrusted us because of our failure to distribute the land. Int: Were there any issues on which the party leadership was divided during the dictatorship? G.L. : There were disagreements on minor matters, because Kun, who was a fairly shrewd tactician, maintained very good relations with Weltner and Böhm and more or less discussed everything with them in advance.10 Some of us thought that there was a danger of party tactics being too narrowly confined within limits set by Weltner and his associates. There was opposition on this point, and even Tibor Szamuely felt sympathetic to it. Ottó Korvin, Gyula Lengyel, László Rudas and Elek Bolgár were the main critics, and I was on their side. This intellectual opposition tried, as we put it at the time, to drag Béla Kun a little to the left, towards the Communists. Despite this, the opposition was still very far from setting up as a clearly defined faction or grouping. Int: But weren't you in favour of merging the two workers' parties? G.L. : Since power lay in our hands, we tended in general to put too much weight on unification. In my case this was strengthened by a personal factor. The vestiges of Ervin Szabó's syndicalism still lived on in me. I hoped, therefore, that a union of the parties would lead to a breakthrough for the syndicalist doctrine that the organs leading the proletariat into the revolution would be more highly developed than the parties. My essay, “Party and Class,” must be seen as the last expression of the syndicalism I inherited from Ervin Szabó, rather than, say, as an important stage in my own development, for the realities of the dictatorship soon showed me that that point of view was untenable. Int: Do you still believe today that Kun's relations with the Social Democrats were too close? G.L. : It was essential for Kun to maintain links with the Social Democrats within certain limits. On the other hand, we were dissatisfied because the dictatorship had failed to take the giant strides we had expected in its progress towards that earthly paradise which we thought of as communism. When I say earthly paradise, this must be understood in a very sectarian, ascetic sense. There was absolutely no thought in our minds of a land flowing with milk and honey. What we wanted was to revolutionize the crucial problems of life. This mood was very prominent in the dictatorship and emerged clearly on specific issues on which, in my opinion, the opposition was in the right. One such issue was the Clemenceau Note, which caught napping even our great statesman Kun. He believed Clemenceau's assurance that Romanian troops would withdraw if we pulled our troops back from the Czech border. Béla Kun was simply tricked by Clemenceau, and we in the opposition were smarter than Kun, since we knew it was just a trick and that we should gain nothing from accepting the terms of the Note. But that does not mean that there are any grounds for speaking of a faction in the leadership. Int: Could you say something about your activities as people's commissar? G.L. : There is little that can be said about that. At the time we all felt a bitter hatred for capitalism and all its forms. We wanted to destroy it at all costs and as quickly as possible. This unquestionably had an influence on the cultural policy of the party. Experiments were made which were fundamentally correct, but naive in their execution, designed to eliminate the commodity character of the artist and works of art and to remove them from the marketplace. The purpose of the so-called Artists' and Writers' Registries was to make the artist materially independent of the sale or non-sale of his works. It is obvious, and it became obvious to us soon after the dictatorship, that our approach was naive, and it would be ludicrous to defend this as a communist measure. On the other hand, our policy had the very positive effect of placing the control of art and literature in the hands of the artists themselves, by means of the literary and artistic directorates we set up. This can be best seen in the case of music, where authentic artists were put in leading positions. The Directorate of Music, consisting of Bartók, Kodály and Dohnányi, practised a dictatorship which enabled the Bartók-Kodály tendency to gain a dominant position. But they also carried out a reform of opera, as can be seen from the fact that the dictatorship witnessed a great première: the first Hungarian performance of Verdi's Otello. There was a similar, if not quite so impressive situation in the plastic arts. A leading role was played there by people like Béni Ferenczy, Noémi Ferenczy and Nemes Lampérth. They were joined by some very talented young historians of art, such as Kálmán Pogány, János Wilde, and Frederik Antal, who later made a name for himself. With their assistance they carried out the socialization of works of art in private hands, so that in the summer of 1919 an exhibition could be held which ranked alongside anything in the world. This had been confirmed by a true expert like Dvorak, who said it was a model of what an exhibition should be. Politically, Dvorak was a conservative, but he was nevertheless pleased to see the pictures taken away from the collectors and put into museums. In a much more attenuated form the same trends could be seen at work in literature. There is one further matter which provides an insight into our cultural policy. In the period immediately preceding the dictatorship, a radical movement had emerged among the teachers, particularly at Gymnasium level. The People's Commissariat for Education managed to throw out all the ministerial old guard above the rank of secretary, and to replace them and all leading members of university departments with leaders of the radical teachers' union. I may add in parentheses that I managed to overcome Kunfi's resistance on this point because I had the stronger nerves. Towards 3 a.m. Kunfi's nerves gave way and he gave his agreement. All this involved a real change, so that we tried to work out a serious programme right from the start. I should add that his programme was put into effect by the revolution in 1945. Eight years compulsory schooling, the four Gymnasium classes to be followed by university, all of these things were already present in the reform programme of the dictatorship. Int: What were your relations with writers like at the time? Int: Did Kassák belong to it? G.L. : Kassák was a member, even Déry. From Osvát to Déry to Kassák, more or less every shade of opinion was represented. Int: Was Babits also in it? G.L. : Of course. He was even given a chair. Int: Did you have no objections to that? G.L. : There are all those stories about our supposed use of compulsion. But who can force anyone to accept a chair? What is less pleasant is when Kassák writes in his memoirs that I once tried to force him to go to the front at the point of a revolver. That is all nonsense, because if Kassák had gone to the front as a political commissar and turned up in my territory, I would have sent him back home. I would certainly not have sent him to the front. That would have conflicted with my principles, since I thought that for a Communist or a non-party man to go to the front was a very great honour. To send someone to the front at gun-point would have been quite alien to me. Besides, Kassák would have exposed himself to the greatest difficulties at the front. When I went there — and this I can vouch for — it was crawling with ultra-left communists. I sent them all home without exception. I had no need of them. I chose my subordinates from among the decent Communist workers in the army. But Kassák is not the only one to have spread lies about what happened. There is also Mihály Babits, who claims that in 1919, when Kun and his friends were under arrest, Béla Balázs and myself approached him and asked him to join the party. That is absolutely ridiculous and without any foundation in fact. Int: As a people's commissar, were you in possession of a gun? G.L. : I had acquired a pocket pistol long before the dictatorship and I used to take it with me on my travels. During the dictatorship itself I only used it once, and then in an amusing situation with great success. There were some anarchists in Budapest and we got on with them like cats and dogs. On one occasion they had requisitioned too many houses in the 8th district, and since some young workers lodged a complaint with me about it, I threw them out and let the workers in. So, one fine day an anarchist delegation arrived and pushed their way past my secretary in the anteroom. They gained entry just like present-day Germans and began to shout. 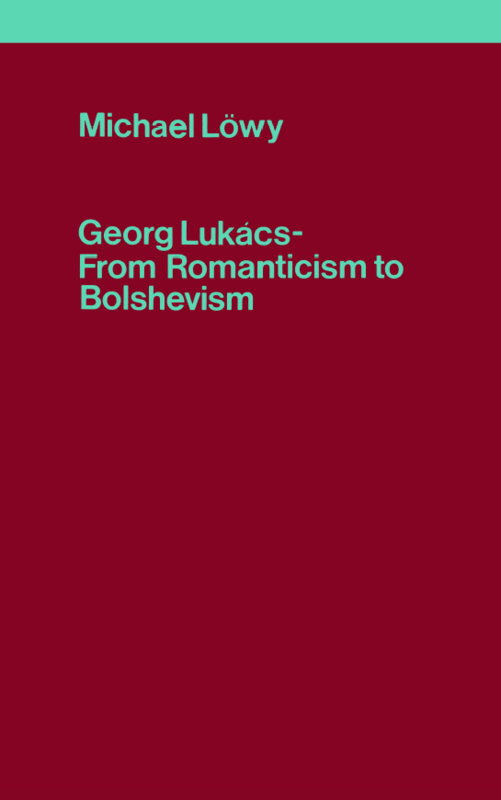 One shouted that Comrade Lukács ought to be shot for what Comrade Lukács had been doing. On hearing this I reached into my pocket, pulled out the revolver and placed it on the table: “Go ahead!” There was dead silence in the room. Five minutes later the anarchists sat down and we discussed the whole business peaceably. To that extent I can claim to have been a great success under the dictatorship. Int: Was there no disagreement with Kassák? G.L. : Kassák probably did not like me any better than I liked him. I had my reasons for this. I had never had any great respect for his poetry, but when I joined the party, Kassák was already flitting around as one in the know and I accepted him without reservation as a Communist writer. Then, in February, after Kun and the rest of the first committee had been arrested, an article suddenly appeared in Kassák's paper asserting that it was a slander to call them communists and that Kassák himself was a supporter of the permanent revolution and independent of all parties and human factions. This was a matter on which I had already formed my own opinion. Then, on 21 March, Kassák again became the official court poet of communism, and that proved too much for my radical bourgeois stomach. Since then I have always despised Kassák and regarded him as an unpleasant fellow. His ambition had always been to be appointed official poet to the Commune, but I did not believe the Commune had any need of an official poet. Representatives of every shade of opinion that can be tolerated under communism should write freely, and if one ideology prevails over the others, well and good. I always took the side of Kassák and his friends when the Social Democrats and the trade-union bureaucrats launched a campaign to destroy them. I did not allow them to be gagged. But equally, I would not allow them to be granted official recognition. Incidentally, attempts to strengthen one's own position by gaining official recognition from the Communists were not confined to Kassák and his friends. The Social Democrats and Jászi and his friends made constant efforts to achieve the same goal. I think that I have already mentioned such an episode involving Jászi, and similar stories could be told in connection with Kunfi. When the Social Democrats took over Uj Idök (New Times), Kunfi proposed that I should join the editorial board. I refused, saying that since they had taken it over, they should run it as they wanted, without any interference from me. I had a similar view with regard to Kassák and his friends. Int: Did your friendship with Balázs survive during the Commune? G.L. : Yes, though there is no truth in the stories that Balázs enjoyed a privileged position. He worked in the People's Commissariat and spent a short time at the front. Int: These stories have obviously received sustenance from the general belief that you seriously overestimated him in your book Balázs Béla és akiknek nem kell (Béla Balázs and his enemies). G.L. : In his case anti-capitalism was socially even less justified than in mine, although a version of romantic anti-capitalism was present in him too. And the tertium datur that I defended, both against the free thought of the type found in Huszadik Szádad and against Ottokár Prohászka, could be found in him too, in his poems and plays. I cannot judge whether overvalued them at the time, but if it is now argued that I praised him too highly, this partly reflects the fact that in my opinion his lyric poetry before 1918 is underestimated. At that time Béla Balázs was a much more important poet than is recognized today. It is typical of the distortions that can occur that, for example, Gyula Juhász has been turned into a great poet. I would go even further: it is my personal opinion that even Árpád Tóth was a better poet after 1919 than he was before 1918. And likewise the Jónds könyve (The Book of Jonah) is immeasurably superior to Babits's early work. If we therefore want to make an adequate assessment of these people, we have to widen our view and see how they developed after 1919. This brings us to the really problematic point about Béla Balázs. The enthusiasm and dedication with which he joined the revolution of 1919 and remained loyal to it afterwards, is truly impressive. But to a certain extent that was also his misfortune. For the point about communism is that it is a little like the saying, qui mange du pape en meurt. You cannot just sample Marxism. Either you must be converted to it — and I know that is no easy matter, since it cost me twelve years before I took the decisive step — or else it is perfectly possible to view the world from a left-wing bourgeois position. In Balázs's case what finally resulted was a baleful mixture composed of a superficial Marxism and his earlier poetic attitudes. in my opinion he has not — as a poet — since written anything worth mentioning — apart from some very beautiful poems in the Férfi-ének (Male Voice Choir). From that point on Béla Balázs became a writer who had lost his way, and it is no accident that we quarrelled in the twenties. I'm glad that I have mentioned the case of Anna Lesznai, because it makes it clear that my judgement is not coloured by any communist sectarianism. There can be no doubt that Anna Lesznai's poetry was always much further from communism than Béla Balázs's. Nevertheless, I always accepted her poetry for what it was, even during my communist phase and even though I knew that it was alien to my social convictions. The reason why I could never accept the non-organic amalgam that Balázs had produced was not that its communism was superficial, but that it was non-organic. For that quality also affects his achievement as a poet. Hence my relationship to Balázs really only extends to the Nyugat phase, and my collection of essays about him was not the start of our collaboration but the end. Int: Were there other writers who approached the People's Commissariat with official requests? G.L. : Almost every writer came to the People's Commissariat. Kosztolányi, for example, wanted a collective to translate Capital. Int: It would not have been at all bad for Kosztolányi to have translated Capital. G.L. : It would not have been bad as far as the Hungarian language was concerned. But you should not forget that the profound contempt in which I was held by the Hungarian writers had much more to do with Hegel than with Marx. It is typical of the state of public opinion before the dictatorship — and here I am referring not to a writer but to Polányi — that Polányi once read out a passage from Hegel's Phenomenology of Mind in a seminar at which I was present, caricaturing it by his manner of reading. He read out a long sentence which was followed by uproarious laughter, and then another long sentence that provoked a similar reaction. In short, I have grave doubts whether Kosztolányi would have succeeded in rendering Marx's stylistic debt to Hegel into Hungarian. Int: I must say that when I tried to make use of quotations from Capital, it turned out that even in the translation by Rudas and Tamás Nagy hardly a sentence will pass muster. The translation does not even succeed in conveying Marx's meaning in every case. G.L. : That may well be. Int: Kosztolányi's text would at least have made good popular reading. G.L. : But I have grave doubts whether much would have remained of Marx's original meaning. Int: Comrade Lukács, in addition to your educational tasks, did you also have any military duties? G.L. : Yes, but it was only an episode, even though it lasted for six weeks. Int: To what post were you assigned? G.L. : I was political commissar attached to the Fifth Division. When the Czech-Romanian offensive was launched in April, the Council of People's Commissars resolved, if my memory serves me right, that half the people's commissars should join the larger army units as political leaders. So Vágó and Pogány became Corps commanders, and Landler later became Commander-in-Chief. These were military, not political commands. But the communists joined a whole series of units as political commissars. I volunteered for this job and was sent to Tiszafüred, where we found ourselves on the defensive. The defence of Tiszafüred had been grossly mismanaged because the Budapest Red Army units ran away without firing a shot. The two other battalions, who would have been willing to defend Tiszafüred, were thus unable to maintain their positions, so that the Romanians penetrated their lines and Tiszafüred fell. I set about restoring order as energetically as I could. That is to say, when we crossed the river to Poroszló, I set up a court-martial and had eight men belonging to the battalion that had run away in panic shot in the market-place. By these means I more or less managed to restore order. Later, I was Political Commissar for the whole of the Fifth Division. Together we advanced to Rimaszombat against the Czechs, and I was present when we took the town. I was then ordered back to Budapest. That was the end of my activities with the Red Army. Int: Who had been in charge of the People's Commissariat in the meantime? G.L. : The departmental heads. Whenever a day's lull was expected in the fighting, I would commandeer an engine and a third-class carriage. I took the special train to Budapest in the evening and returned the following afternoon. Int: It is as well that we live in a small country. In Russia that would have been harder. What influence did you have on military developments? G.L. : Militarily, it was only possible for me to intervene in the most obvious situations. I had devised a good method for this. Our highly counterrevolutionary Chief of General Staff used to explode with rage whenever I applied it. I used to say to him, “Look here, you are a soldier. You have your own soldier's language, just as I have my own philosopher's language. But I understand nothing of military matters. If you want to tell me that this or that battalion has to be moved from one place to another, you must not go into detail about this grouping or that concentration and all sorts of other matters understood only by specialists, I do not have the faintest idea about these things, so you must explain matters in such a way that I, as a layman, will comprehend why you are doing things one way and not another.” He was a man of short stature, the Divisional Chief of Staff, a former captain or major. He was furious with me, of course, because he was actually engaged in sabotage and you really cannot explain that away in layman's language. I knew from Clausewitz that a serious military strategy could be put into ordinary language, but the sabotage could of course not be explained. Int: Comrade Lukács, I think that a long time ago, even before 1956, you told the story that you always visited the kitchens at the front. G.L. : On my regular trips, I would stop the car two or three kilometres from the front, conceal it behind a convenient bush and appear unexpectedly among the troops. I always make a bee-line for the kitchen and made them give me whatever they were cooking. The cooks were always terrified of me: since they could never be sure when I would turn up in the kitchen, they were never able to cover things up. Int: At divisional level that is the practical consequence of materialism; you have to start in the kitchen. G.L. : Two things were uppermost in the minds of the men. One was the kitchen, the other was the mail, I did not think myself an outstanding military organizer, but on these two points I made sure that everything worked properly throughout the division. The soldiers were given decent food and their letters arrived every day. Int: Did you have any contact with the higher military command, with Stromfeld and Böhm? G.L. : In general we simply carried out the orders we received. There was only one occasion when I sabotaged an order and that was at the time of the great Romanian offensive before the first of May. Our division was holding the Tiszafüred-Eger line. The only other significant Hungarian force was in Szolnok and in between there was an undefended bridge over the Theiss at Kisköre. I called on the army commanders either to organize the defence of the bridge or, if they were unable to do that, to blow it up, since otherwise the Czechs could just walk in between us and Szolnok and that would be the end of us. Stromfeld was unwilling to do either for all sorts of military reasons, so I had the bridge blown up without his approval. Int: Were you punished as a result? G.L. : No. With hindsight Stromfeld agreed that I had been in the right — militarily speaking. Int: Did you know him well? G.L. : No. We became friendly later, by which time he had already joined the Communist Party. Int: Does your friendship with Gábor Gaál also date back to your time at the front? G.L. : Yes. I had asked the Ministry of Defence for an officer of the reserve who was also a member of the Communist Party and whom I could use as an adjutant. Gábor Gaál was recommended to me. I went with him to the front and we spent six weeks, or however long it was, in each other's company. So I know him from that time. I was very impressed by him and we became friends. Int: Did this friendship survive later on? G.L. : We remained on friendly terms in Vienna. Then Gábor Gaál left Vienna and at the time personal correspondence did not really exist, so that we became, if not estranged, that is not the right word, then just separated from each other. For years I only knew from the press what he was doing. I knew that he took over all my articles that appeared in the German, Hungarian and Russian papers. I believe that he published a good deal of what I wrote. Int: Did you not send anything to him direct? G.L. : I did not send my work to anyone direct. I handed it in at the appropriate party office, which then took charge of publication. Where the articles appeared l could no longer tell you. Int: I believe that after the fall of Béla Kun's dictatorship, you and Korvin were ordered to stay in Budapest. Int: What were your instructions? G.L. : We were supposed to organize the Communist Party. When the Romanians arrived, I was at the front with the task of introducing as much order as possible into the Fifth Division. I had not had much success, and later that evening arrived by car and asked the comrades who were present for advice from the party. The party's opinion was that Korvin and myself should remain in the country to keep the illegal movement in being and to act as its leaders. I was supposed to take over the ideological leadership and Korvin the organization. Even at the time I had my doubts about whether Korvin and I were the most suitable people for the task, for if any communists were well known then we were the ones who qualified. In Korvin's case there was also the question of his appearance, since he had a hunchback. Int: So did you regard this mission as the result of animosity towards you? G.L. : That is not something that can be proved. Four or five communist leaders sat down together and discussed the matter in party headquarters with Kun, and when I arrived from the front the decision had already been taken. Int: “Suspicions about Kun” — what is the meaning of this note in your autobiographical sketch? G.L. : Look, my relations with Kun had deteriorated quite sharply even during the dictatorship. My first wife's opinion gives a good indication of the bad feeling between us. I have already quoted it. When she first saw Kun, she had the impression that he resembled Vautrin. I thought then, and I still do, that this was a very perceptive and accurate remark. Even then there were constant disagreements and tensions between us, although they related only to moral issues in the communist movement. So I took a very cynical view of the mission. What I said at the time was that Korvin and myself were being prepared for martyrdom. Int: Did Korvin also have disagreements with Kun? G.L. : Yes. Korvin's sharp insistence on class struggle often caused him to clash with Kun's compromises. When Korvin ventured a mild disagreement with the attitudes of certain centrist Social Democrats, Weltner and his friends naturally leaped to the defence of the Social Democrats, whereas Kun failed to support Korvin. Int: What happened after Korvin was caught? G.L. : Korvin was caught after about a week and since he had very naturally and reasonably not given me the names and addresses of his friends and fellow-workers, I found myself completely isolated. In the circumstances there was no point in my staying in Budapest. A further factor was that after a denunciation by someone outside, the flat where I was in hiding was searched by some soldiers under the command of an officer. The flat belonged to Olga Máthé, the widow of Béla Zalai. I was very lucky not to have been caught. Int: It is almost unimaginable that anyone can escape in a house search. G.L. : It is much simpler than people imagine. I should add that it was partly due to my own precautions. Olga Máthé was a photographer, a very courageous woman. Her flat consisted of a small room where she lived with her daughter, a large dining-room and a studio which led into the loft. There was a chaise longue in the studio and that is where I slept. We quarrelled every day because she wanted to make up the bed for me. I resisted this since I planned to slip up to the loft if the doorbell rang during the night. I knew my way around the loft very well and I had already worked out in advance that I could hide behind a huge chest that was standing there. I had great difficulty in convincing Olga Máthé that if there were no bedclothes on the chaise longue, it would not occur to anyone that someone might be hiding there. One morning, at around three o'clock, there was in fact a ring at the doorbell, and the flat was searched. I listened to what was happening from behind my chest. Since the person who denounced her had claimed that Olga Máthé had received a visit from Béla Kun and taken a picture of him, and not that she was hiding anybody, they did not bother to look any further. I had gone to see her in the afternoon without any luggage, and of course people are always going into photographers. The concierge took me up in the lift, but there was nothing remarkable in a man going up to see Olga Máthé, since five or even ten people would do just that every day. So no one suspected that anyone might be hiding there. Of course, I could not stay in the flat after that, since I could not risk another search. After a discussion with my comrades it was decided that I should go to Vienna to strengthen the emigration. I did so in late August or early September. Budapest had by then been occupied by Mackensen's army and their officers travelled back and forth between Budapest and Vienna. During the dictatorship the Whites were taken out of the country to Vienna and after the dictatorship Reds were also conveyed there for good money. My family bribed a lieutenant-colonel from Mackensen's army to let me leave the country as his chauffeur. But since I could not drive, we bandaged my arm as if I had had an accident en route, and the officer drove instead. The matter was purely a business arrangement. 2. In his memoir of the Rajk affair Tibor Déry forgot that in 1949 he himself had written an article against László Rajk, a minister in the post-war Hungarian government who was executed in 1949 after a show trial. 9. Headquarters of the Hungarian Communist Party. 10. Leading representatives of the Social Democrat right wing.